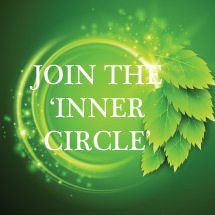 Become a member of Nature’s Wisdom’s Inner Circle and enjoy a host of benefits. There are two tiers ‘Silver’ & ‘Gold’ (please see the benefits listed here). Both choices will recieve consultation/product discounts, regular newsletters, books & product recommendations, periodic offers/sales but the features we are most excited about are the monthly 15 or 30 minute scheduled telephone/email consultations & the access to topical articles for conversation &/or information.